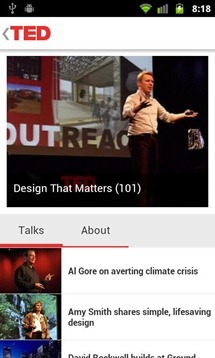 From climate change to mobile security, psychology to astronomy, TED talks cover some of the most important, interesting, and amazing topics from leaders of science and technology. TED is, in short, a collection of discussions from the height of human intelligence and thought. 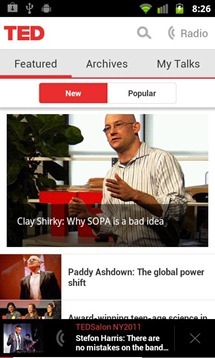 Now, more than 1200 TED talks are available on your phone or tablet. This is amazing. 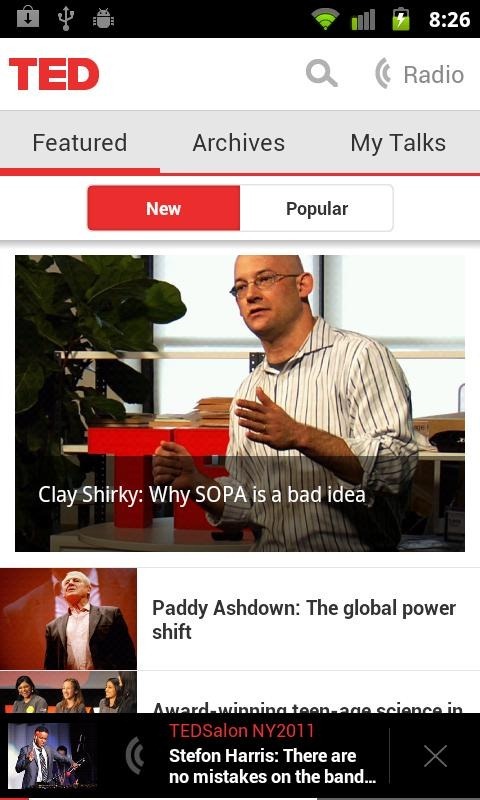 The design of the app is clean and straightforward. It sticks pretty closely to Android's style guide and is therefore very good looking and, more importantly, familiar. 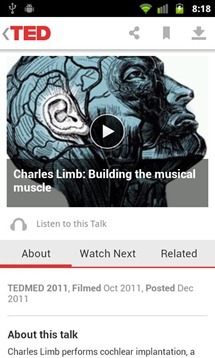 The app is functional and gives the user plenty of ways to both discover new talks to listen to as well as find a specific talk. The design of the app is secondary, though. What it represents is truly amazing. The last few decades have been a globe-spanning storm of innovation and technological advancement. The past several years have seen that innovation reach a new level as the wealth of information that's available is made available in a pocketable form. If all that work was done so you can look up who that one guy in that show was, though, it's quite literally trivial. 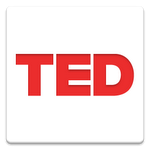 Things like TED, though, are the reason the internet was first formed: The free exchange of big ideas and information from the most educated sources around the world. TED isn't the only place that big ideas like this are shared, but it's a fantastic and growing source with talks that have been viewed on the full site over 500 million times. We can't recommend downloading this app enough. Grab it from the widget below.